It shouldn't take long to remember why you fell in love with Bungie games after watching the new "live action" trailer that teases their upcoming shooter, Destiny. Bungie has a storied past of creating universes from Halo, Myth, and even Marathon - their worlds are always rich with lore, content, and intrigue. If the latest trailer, titled "Law of the Jungle" is any indication of Destiny's future - well let's just say it's destined to fall right in line with the rest of Bungie's franchises. The trailer features actor Giancarlo Esposito reading an excerpt from "The Second Jungle Book" by Rudyard Kipling. The passage concerns wolves and their pack - and how the strength of the pack and the individual are both equally important. In essence, the trailer reaffirms just how focused on cooperative gameplay Destiny is going to be. Perhaps what is most surprising is what happens after the trailer itself - we learn that the world wide gameplay premiere of Destiny won't take place at Microsoft's E3 press conference in 2 weeks, but at Sony's. Time sure have change. 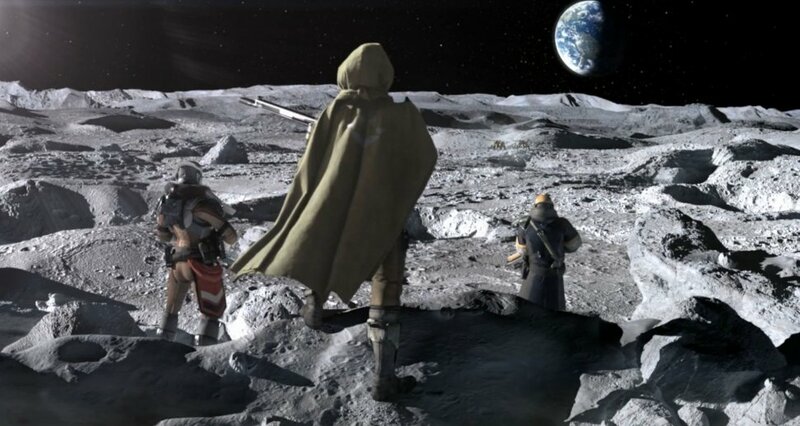 Destiny is set to be releases on Xbox 360, Xbox One, PlayStation 3 and PlayStation 4 later this year.